Do you understand that your misery is job security for D.C. Democrats? We used to teach our kids the value of sportsmanship. We’d tell them something like “everyone loses. What matters is that you tried your best and you learned something from the loss. You can come back and get ‘em next time.” No one liked sore losers. Good sportsmanship was somewhat of a cultural virtue. Our parents taught us to be gracious in victory and defeat. Apparently, some of our Democratic “leaders” were never taught this lesson growing up. After the smoke had cleared and Election Day had come and gone, and despite insurmountable vote counts that wouldn’t change the outcome of their races, Sen. Bill Nelson (D-FL), Andrew Gillum, the Democratic mayor of Tallahassee, Fl, and Stacey Abrams, the Democratic gubernatorial candidate of Georgia, all refused to concede their races to their Republican opponents. Bill Nelson seemed to be in denial that he could lose an election after spending over forty-five years in elected office. Gillum, initially conceded his race, only to withdrawal his concession after falling under the .5 percent mark that triggers an automatic machine recount in Florida. And then there’s Stacey Abrams. She kinda sort of conceded the race to her Republican opponent, Brian Kemp. After nearly two weeks of protest, she called him the “legal” winner of Georgia’s gubernatorial race. But refused to call him the “legitimate” winner after the election was certified. 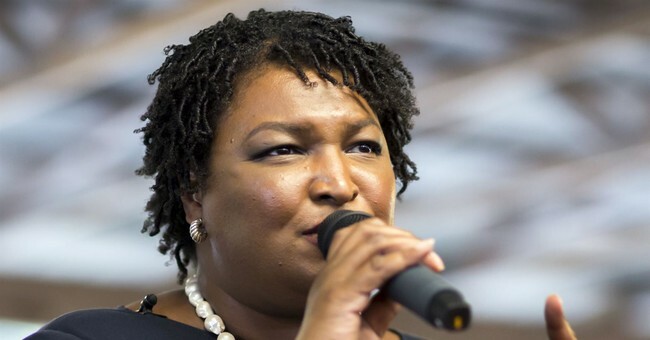 For the record, Abrams is the “legitimate loser” of that race. Today’s Democratic Party feels entitled to power. After all, how could you dare vote for anyone but them, unless of course, you’re a racist, sexist, homophobic, xenophobic, money hungry bigot who hates the poor? They’re no longer, and I’d argue they never were, a party of empowerment. Instead, they are a party of entitlements. To be clear, I’m not talking about government entitlements such as Medicare, Medicaid, and Social Security benefits. The left believes they are entitled to your vote because they’ve been oppressed, even if they can’t prove it. Therefore, you need to make amends by becoming subservient to them. America’s founding by old white men, as they see it, is illegitimate because “it was built on the backs of slaves.” Therefore, they’d like to remake America in their own image by undermining the Constitution – our referee in the game of freedom. The left would like to replace God with government authoritarianism, individualism with collectivism, capitalism with socialism, national sovereignty with open borders, the content of a person’s character with racial and gender identity politics, representative government with activist judges to circumvent your vote, and a government healthcare system run by politicians who apparently have more medical expertise than doctors. If they succeed in their goal to remake America without a single newly added amendment to the constitution, the odds of them ever losing another election is gone. Far too many people would be dependent upon government handouts, and the left would control the purse strings. The truth is the left has no intention or desire to empower their voters. If they were to promote policies that encouraged their base to utilize their God-given talents to earn a living, become financially independent and use their own money to support causes and non-profit organizations they believe in, they’d lose their votes because they’d be rendered useless. Furthermore, left-wing politicians like Bill Nelson, Stacey Abrams and to a smaller degree Andrew Gillum, don’t just rely on your votes. They demand your votes; they’re entitled to them. If they lose, it’s because Republicans are corrupt. It’s not because their ideas are bad. Their refusal to concede their races despite having no chance whatsoever of flipping them has set a dangerous precedent for 2020. I fear that in order to avoid violence, Republicans and conservatives alike must win their future races outside of the “margin of cheat.” This is the only way we’ll save America from the entitled ones.